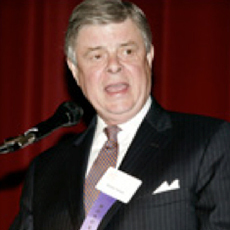 Former CEO, Southwestern/Great American, Inc.
President and CEO, Ingram Industries Inc.
Judge Waverly D. Crenshaw Jr.
President and CEO, Lipman Brothers, Inc.
Rev. Kenneth S. Robinson, M.D. Founder, Walter Knestrick Contractors, Inc.
Former Vice President, Broadcast Music, Inc. Retired Surgeon in Chief, Children’s Hospital, Washington, D.C.